July 26th, 2015 marked the 25th anniversary of the Americans with Disabilities Act. 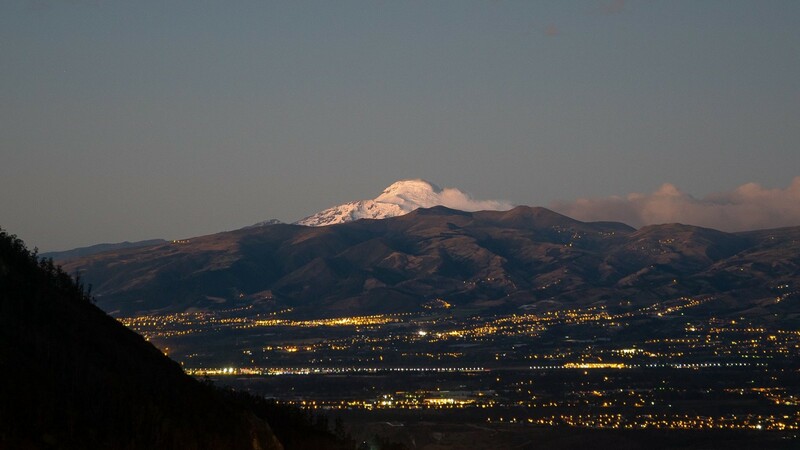 The Range of Motion Project assembled a team of 15 amputee and non-amputee climbers and attempted to summit Volcán Cayambe to mark this important date. We wanted to show the world what people can do if given access to their own mobility. The event was called Climbing for ROMP. This is the trip report. 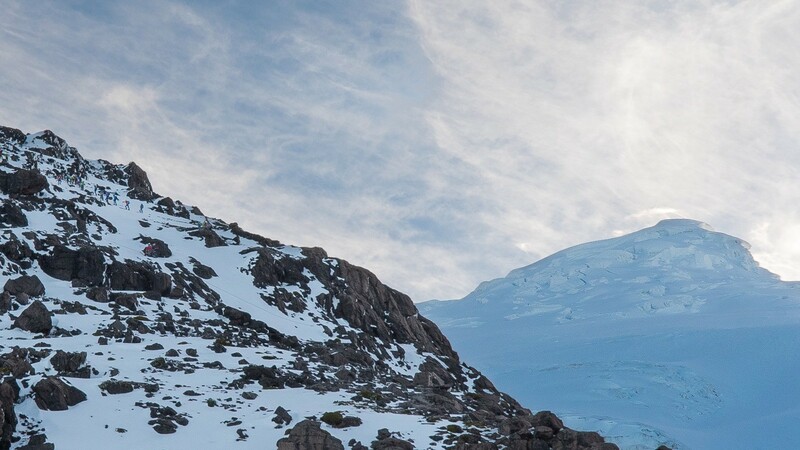 After months of planning and weeks of acclimation climbs, the team arrived at the base of the mountain at 12pm and we told by the guards that the conditions ahead were the worst they had seen in years. The serpentine road to the refuge was impassable due to snow and mud, and the peak was amazingly windy. Things were not looking good. We gear up anyway and prepare to 4×4 as high as we can towards the refuge. Before hitting the mud we stop to cut wild grasses and pine branches to use for traction and strap them to the roofs of the vehicles. The road was not great, as advertised. Our caravan cowboys its way through kilometers of ruts and mud. We are almost stopped twice by thick uphill mud patches. We get about 2km from the Cayambe refuge before encountering impassable snow and decide to hike the rest of the way on foot. The final ~2km push takes most of the team 2 hours to complete as the roads are steep and slick and we are carrying all of our gear, not just the light day packs we intended to use for the summit push later. The drizzly sleet is deceptively powerful and by the time we arrive at the refuge we are fairly soaked. Our climb leader, Santiago Quintero, informs us that in 13 years of climbing Cayambe he has never had to hike to the refuge. Dinner is at 5, lights out at 7. Outside the wind howls through cracks in the windows. At 1030pm the team wakes up and starts preparing their gear while the guides check the weather conditions. Bad news. Our lead guide tells us that we have 40–60km winds blowing up glacial snow and whipping it into something called White Wind. I’m starting to think we’re north of the Wall (you know nothing, John Snow). Visibility in the darkness will be extremely limited; temperatures will be extremely low. We get the red light and try to process what that means for the project. Time to adjust expectations. The alarms are set for 4am and we return to the sleeping bags. 4am. The team wakes up and gears up. Conditions have improved but we don’t have enough time to summit before the snow softens and avalanche danger increases. We agree that we’ll try to make it to the base of the glacier about 2 hours up from the refuge and re-assess. Crampons click over frozen snow. The magnificent sunrise lights our way and lightens our spirits. It’s going to be a beautiful day. 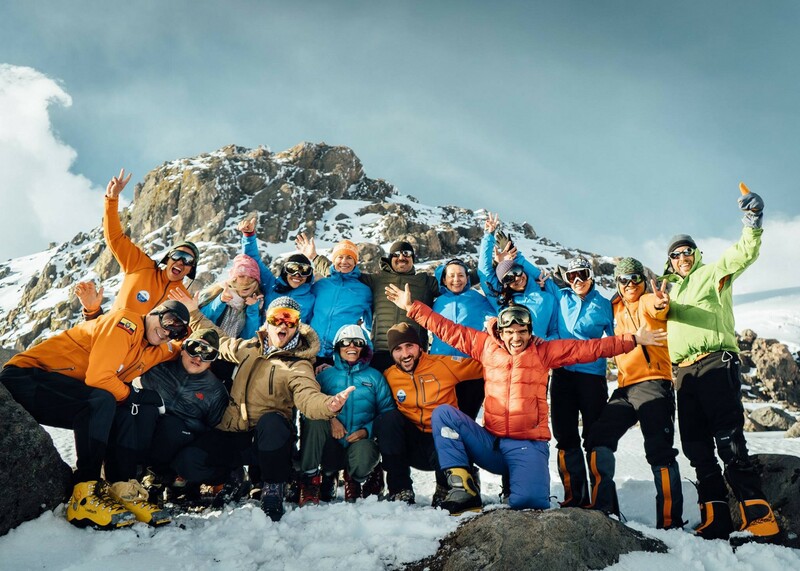 The entire team makes it to the base of the glacier, including all amputee athletes. At the glacier we are roped into climbing teams of three and begin the ascent up the 30–40 degree pitch. The wide open expanse of snow is as awe inspiring as it is physically and mentally exhausting- it just goes on forever and ever like a white silk ramp into the infinite blue sky. The summit is clear and inviting but the direct equatorial sun rays are doing their job. Each step becomes harder as crampons, boots, and prosthesis slide into the increasingly soft snow, and lungs struggle to pull oxygen from the increasingly thin air. Most of the team makes it to 5300m/17500ft at a rock ledge called Picos Jarrin. 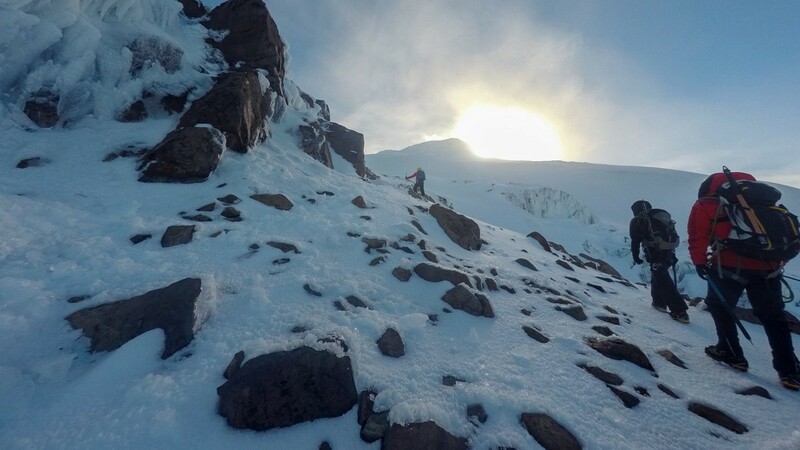 One team makes a fast summit push but is foiled by loose snow 150m from the top. Everyone returns to the refuge in the early afternoon exhausted but smiling. The night before we weren’t sure we would get to climb at all. Now most of us had made it higher than anyone thought possible, even ourselves. We assembled the Climbing for ROMP team to prove to the world that amputees are not disabled by a missing limb, but a missing prosthesis. We wanted to redefine how disability looks so that patients could access the technology to conquer their own personal mountains. In the end, this redefinition extended even to our own summit and what that meant to each of us individually. In hindsight I can’t think of a more appropriate way to sum up the event. To everyone participating in support climbs across the globe: thank you. Cayambe is the highest point on the equator and the only point on the equatorial line with perennial snow; we were very literally climbing in the middle of the world. This means that your solidarity climbs surrounded us- north, south, east, and west. Knowing this made the ascent that much more meaningful for the climbers, but ultimately, your effort will have the most meaning for our patients. Thank you for your hard work this weekend, and keep climbing. All photo credit to the immensely talented Jake Farmer and his film company Olive Media. Keep an eye out for the Climbing for ROMP documentary in 2016.